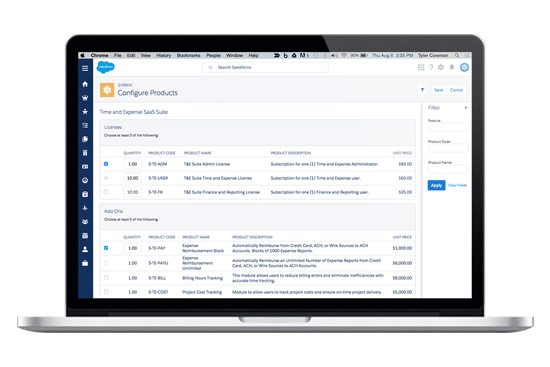 Salesforce Field Service Lightning leverages your Service Cloud data—and the power of Salesforce Einstein artificial intelligence—to enhance the productivity and effectiveness of your field service personnel, while providing your customers with a seamless experience from first contact to ultimate resolution. Provide field personnel with the customer insights and intelligence they need to deliver on service commitments and the knowledge to upsell or cross-sell other products and services. Monitor and report on field service activities in real-time, generating insights that can drive service enhancements. Provide customers with a consistent experience from the phone to the field and back, with technician and work order status updated in real-time. Connect field personnel with support agents over voice, video, or chat to remotely diagnose and solve customer issues. Empower mobile field personnel with tools to update work orders, answer customer queries, order parts, adjust job status, expense inventory, and plan journeys, from anywhere on any device. Automate dispatching based on technician availability, skill set and past experience. Route personnel, tools, and parts to where they can be most effective. Track field service efforts and update customer records in real time. Leveraging your existing customer, product, and service data in Service Cloud, Nubik’s team of field service specialists will work with you to understand your organisation’s specific field service capabilities, your unique challenges, and your different customer support entitlements. Nubik will recommend best practices for customer service excellence and the Field Service Lightning and Service Cloud configurations that support them. Integrate process data and outcomes, from the initial customer request to the work order, bill of materials, equipment used, and time worked into a single dashboard available from desktop and mobile that provides managers and dispatchers with actionable insight. Leverage machine learning to automatically identify field repair or installation challenges and proactively propose process and tool enhancements. Nubik’s team of Field Service Lightning experts has experience deploying tools and supporting agents in organisations of all sizes—some with thousands of field personnel—and in the most demanding field service situations. Leveraging our experience with Service Cloud and our knowledge of industry best practices, we will work with you to transform the customer experience from the initial support call to the successful resolution. Sign up for a free online demo about Salesforce Field Service Lightning and learn how to reimagine your field services for a connected world.